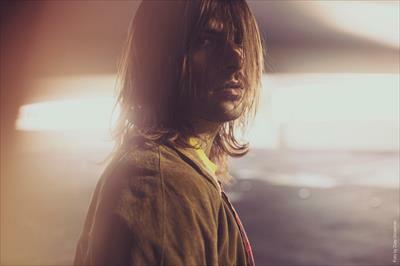 Even in the rumor-fueled Hollywood scene, Robert Schwartzman is surprisingly good at keeping secrets. We haven’t heard much from Schwartzman’s band Rooney the past six years (since the group’s 2010 album Eureka), but his radio silence meant nothing. Because unbeknownst to his fans, this LA-based musician and Rooney frontman has been quietly working on brand-new material. 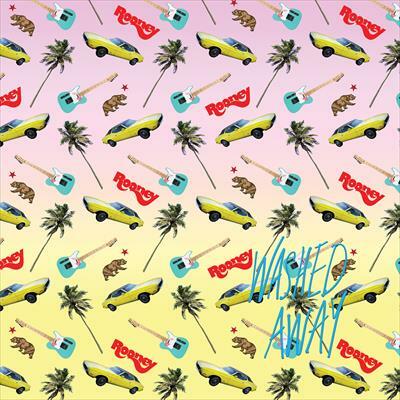 After keeping things under wraps for years, this summer Schwartzman is going public with Rooney’s newest album, Washed Away. In many ways, the fourth record under Rooney represents the band’s next act: as an all-inclusive solo project. To call it a labor of love is a serious understatement. Schwartzman wrote, produced, and performed all of the songs himself, holed up in his home studio and making hundreds of tweaks along the way. “I learned that if you keep pushing yourself then maybe something better can happen,” he says of the painstaking process making the album. “I feel like if there’s still potential to do it better, then I would rather work on it than call it a day.” Rather than succumb to the pressures of today’s the near-constant album release cycles, Schwartzman instead intends to make something tangible and long-lasting. Consider this a refreshing antidote to the disposable pop music machine. It would be easy to try to replicate the band’s past hits, like 2003’s “Blueside” “I’m Shakin,” or the popular 2007 track “Where Did Your Heart Go Missing?” However, Schwartzman sees Rooney’s latest incarnation as an entirely new project that builds off its history. “I wasn’t happy not making Rooney records,” he explains of the hiatus. “Rooney is my baby and I really love it and I miss it.” Although Schwartzman’s dabbled in other sonic arenas over the past few years—like his 2011 electronic project Starsystem—he remains drawn to Rooney’s trademark rock-meets-power pop sound. “ I had to explore synth pop for a little bit, but I also missed getting onstage with an amp and drums and a band and just rocking out,” he explains. “This record smelt like a Rooney record, but it felt weird to get back in the driver’s seat with it.” In fact, Schwartzman says that half of the songs were recorded as an EP, which he sat on for years, unsure of the next steps. It wasn’t until he was jamming with a group of friends that he realized it was time to kick Rooney back into gear. And this time around, there’s plenty to love, for both longtime fans and newcomers alike. This DIY quality allows Washed Away to serve as a direct line between artist and fans. What’s more, Schwartzman has made it a priority to create records independently and wholeheartedly—even between his other projects, like scoring the 2013 Gia Coppola movie Palo Alto, collaborating with other artists like Joe Jonas and Demi Lovato, and writing his first feature film. “I’m not the kind of person who can just walk in with my guitar and play a song that someone else made,” he says. “I’m not satisfied with that because I always need more output.” With his film’s release date early next year and Washed Away due next spring, fans are finally getting what they’ve been asking about for years now. Fortunately, Schwartzman’s perfectionism pays off. “There’s a lot of noise out there, but I think that if we stay the course and stay true to the integrity of the band, good things will come in time,” he explains. “Rooney is defined as a bear with all its imagery, but it is a tortoise.” With years of record label politics behind them, “now it’s about resetting the clock and not letting those things get into our heads,” Schwartzman says. “I hope that people embrace the record in the same way that people embrace the band. It’s a launchpad for the future.” A bright one, indeed.